As you know, we at RentalBoats.com offer Jet Ski Rentals to riders of all skill sets and experience. For those of you who are riding Jet Skis for the first or second time, we have some valuable Tips to share with you. You can apply these Tips no matter where you rent Jet Skis. The good news is that we at RentalBoats.com will provide all of these for your rental. These are things that YOU can provide to make your Jet Ski Rental more enjoyable. 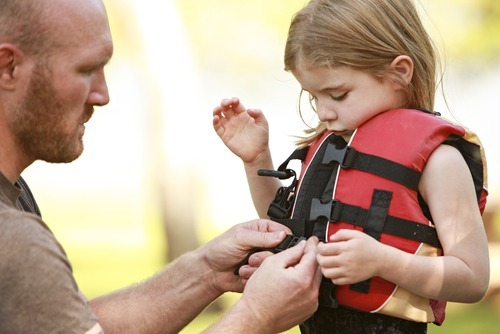 Wear you Life Jacket AT ALL TIMES – things happen quickly on the water. Life jackets have been proven to save lives. Keep the Safety Lanyard attached to the “kill switch” whenever operating the Jet Ski – this will protect you and any passengers should you fall off the Jet Ski while running. This feature will also make it easier for you to swim to the Jet Ski to climb back aboard. Before you leave the dock, we will help you attach the Lanyard to your wrist, life jacket, etc. Learn how to fall off the Jet Ski – This may sound silly but there is a right way to fall off the Jet Ski. Although it’s very difficult to fall off of modern Jet Ski, you may find yourself in the water with a rolled-over Jet Ski. Not to worry. If for some reason you fall off and the Jet Ski rolls over, it’s best to get it rolled back over by following the rollover directions at the rear. of the Jet Ski – which we will show you. The Jet Ski’s nose will lift up when trying to get back on the rear – this is normal. When climbing back on, use the step for your feet and one knee. Then, get your other knee on the back of the craft. The Jet Ski may seem a bit unstable or wobbly but it’s OK. Get the other knee on the craft and straddle the seat back to where you can drive again. Remember that climbing back aboard a Jet Ski getting is a bit harder then it seems. You’re soaking wet and a bit frustrated. Just take your time and follow the procedure. You’ll be just fine. Brakes and neutral are not what you think they are when it comes to operating Jet Skis. More and more Jet Skis have neutral and brakes but there are still some without. The tricky thing with Jet Skis is that neutral is not like neutral in your car or truck due to the fact that Jet Skis use a direct drive with an impeller. A Jet Ski does not want to “sit still” like a car in neutral or park. Neutral on a Jet Ski is a “bucket” that controls the direction of thrust and the neutral spot is in between forward and reverse. Keep in mind that your Jet Ski will move a bit even when in neutral. When equipped with brakes, your Jet Ski uses the same “bucket,” but it doesn’t work like the brakes in your car. The brakes on a Jet Ski will slow you down but what’s really happening below the surface is that the bucket is using reverse to slow you down. This is why the brake lever and the reverse lever are the same levers – if you hit the brakes, you’ll slow down and eventually go in reverse. 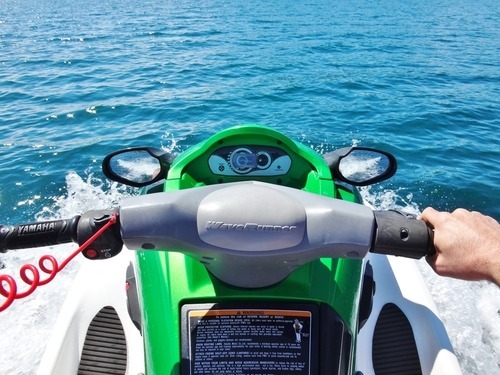 With these easy and simply Tips, you’ll become an experienced Jet Ski operator in no time and ready to truly enjoy our Jet Ski Rental experience! Give us a call to reserve your Jet Ski now. What are you waiting for?